A downloaded song will store itself in the area wherever your own computer is set up to initially store downloads. This may well be in ‘My Downloads’ depending on how your system is set up. Open the Pro Wav player and hit the Library button in the top right hand corner under the Playlist pane. The Library will open in the centre of the player over the Play controls. Drag the song file (it’s a zip file) from your download area into the library area. The file will automatically unzip itself after a few seconds and install alphabetically in your library. DO NOT unzip the file before dragging it into the Library. If your browser has automatically unzipped the song, do not rezip it but y to import the song folder. If you want to use that song drag it into the playlist area on the right hand side. Hit the Library button again to make the Play controls visible and you’re ready to go. Open the Pro WAV player and hit the Library button in the top right hand corner under the Playlist pane. The Library will open in the centre of the player over the Play controls with your downloaded songs listed in alphabetical order. Drag any song into the playlist area on the right hand side. Hit the Library button again to make the Play controls visible and you’re ready to go. Once songs are built into a playlist you can skip between songs by using the left/right/up/down arrow keys on your keyboard. 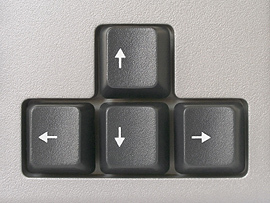 Left arrow skips back a song and right arrow skips forward.